Other Products: Wooden trinket box, White acrylic paint, Clear Dry Glue. Instructions: Color the wooden trinket box with white acrylic color and let it dry naturally. to create the rose flowers, stamp white cardstock with largest and second largest petal three times from the Classic Rose Stamp Set using Archival ink Plum and cut using coordinating die. Color the petals from both sides using Archival ink Carnation Red. 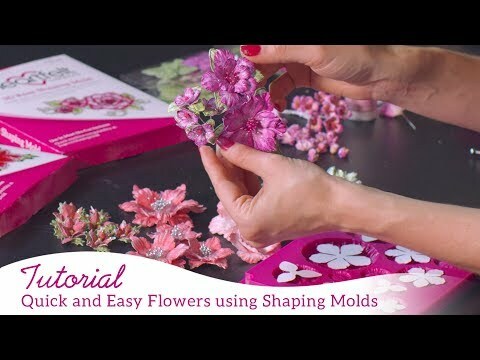 For filler flowers use smallest stamp from the same stamp set. Shape the petals using Groove Golf Tool Set.